Home Opinion Columns What do we expect from a Jewish state? When the sun rose over Israel the day after a new basic law officially designating it as the “nation-state of the Jewish people,” the country was no different from the day before. But as Israelis and Jews throughout the world commence a characteristically bitter debate about this new law, what’s really troubling about this is that so few on either side of the question are asking themselves what kind of Jewish state Israel should be. The law was passed in the same week as the start of Tisha b’Av, the day of national mourning in which Jews commemorate not only a litany of national tragedies, but also the sinat chinam or “senseless hatred” between Jews that helped facilitate so many catastrophes. As such, what is needed most now is a willingness for Jews to stop engaging in a pointless debate about the largely anodyne details of this law and to devote some of the same energy to stop delegitimizing each other. The fact that a Conservative rabbi was hauled in by police for questioning in an early-morning raid (although quickly released) in Israel for performing a non-Orthodox Jewish marriage soon after the law was passed points to the way this discussion has unleashed passions that are profoundly dangerous for the future of the Jewish people and their state. Despite the angry and overblown rhetoric from the law’s critics, in practice the basic or constitutional law that designates Israel as a Jewish state and officially recognizes Jewish symbols changed nothing about the way the country actually governs itself. Nor did it rob non-Jewish minorities of their rights. In almost every respect, the legislation merely reflects traditional Zionist goals about creating a country that would serve to express the Jewish people’s legitimate right to national self-expression. It is in most respects a statement that recognizes national symbols (the flag, the “Hatikva” anthem, Jerusalem as its capital, the Hebrew calendar and language, as well as Jewish holidays) and national priorities (“the ingathering of exiles,” the right of “Jewish settlement” in the ancient homeland of the Jews, and the freedom and safety of Jews wherever they might live). Even the points on which critics harped were largely misleading. Arabic is still an officially recognized language. 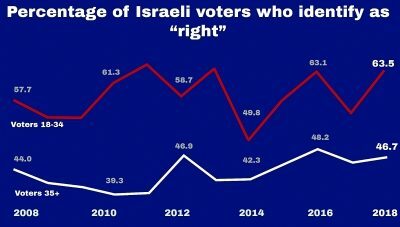 The dilemma of a national minority living in a country dedicated to another people’s nation-state is real and has led to problems for Arabs that Israelis should devote more energy to correcting and resolving. But reminding the world that Israel is a Jewish state is no more insulting to Arabs than was Israel’s Declaration of Independence. While it is true that Israel could have gotten by just fine without this legislation, I am not persuaded by those who argue that this law will make the task of defending Israel against its critics, both Jewish and non-Jewish, much harder. Those who claim that the law makes Israel an “apartheid state” had no more ammunition to substantiate that despicable lie now than they did before it was enacted. Secular liberal culture tends to regard any expression of nationalism, even when tied to a democratic state that offers equal rights to all of its citizens, as racist. Many people who view the world from that perspective are already inclined to be against Israel. True, the main impetus for this bill was a desire on the part of Israeli Prime Minister Benjamin Netan-yahu to mollify the more right-wing elements in his governing coalition. But it is also understandable that many Israelis have reacted to the growing effort to isolate Israel, embodied in the Boycott, Divestment and Sanctions movement, by reasserting the reasons why a Jewish state was established in the first place. Those who are most zealous in their advocacy for this law — and who expect Diaspora Jews to join them in support for Zionism — need to also ask themselves what they are doing to make the Jewish state a place where respect for all Jews, in addition to non-Jewish minorities, is a given. What happened to Rabbi Dov Haiyun, a Conservative rabbi, is an outrage. Large numbers of Israelis find the process of dealing with the Orthodox bureaucracy while trying to get married insufferable, with many traveling to Cyprus for a civil ceremony. Others ask Conservative or Reform rabbis to perform a traditional Jewish ceremony that is usually registered with the state by a cooperative Orthodox colleague. The detainment of the rabbi is connected to attempts to foil the compromise over an egalitarian prayer space at the Western Wall. An otherwise entirely defensible Jewish state bill may have also encouraged foes of that proposal to think this is the time to start flexing their political muscles and intimidate non-Orthodox Jews and their clergy. While it’s true that polls show that the country remains divided about the issue, religious pluralism isn’t a priority for most Israelis. American Jews, who overwhelmingly identify with non-Orthodox movements, need to understand that in a country where there is no separation of religion from state, and rabbis are paid by the government, that the question of who is a rabbi is inherently political. As long as the Orthodox parties have Knesset seats and the non-Orthodox have none, the government will not respond to demands for pluralism. Most Israelis consider the non-Orthodox streams Diaspora movements. It’s equally true that although the secular majority wants to live in a Jewish state, they would also love to rid the country of the Orthodox rabbinate’s monopoly on marriage and divorce. 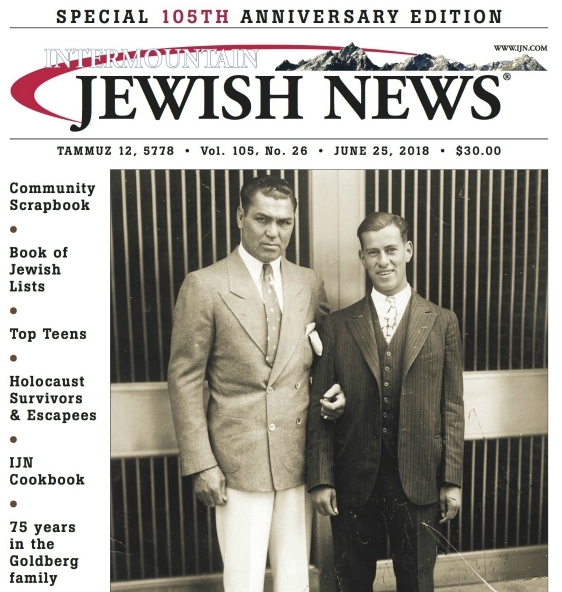 Those who excuse the rabbinate’s war on non-Orthodox Jews argue that these movements are disappearing or that the political views of many of their adherents place them at odds with the current government and think that somehow excuses acts — like the detaining of a rabbi — that exacerbate the already fractious nature of the Israel-Diaspora relationship. What they forget is that Zionism is a movement that was intended to provide a home for all Jews — not just one political or religious point of view, even if the majority living in Israel might support those stands. If you’re going to embrace the cause of a Jewish state that seeks to speak for the national aspirations of an entire people, then you can’t delegitimize the beliefs of millions of American Jews and expect those same people to think that the state is connected to them. Unfortunately, just as many in the Diaspora are unaware of the realities of the conflict with the Palestinians, so, too, many Israelis are so locked into their own limited understanding of Jews elsewhere that they harboring prejudices against other denominations. That is a tragedy, especially to be regretted on the eve of Tisha b’Av. The Jewish people waited 2,000 years for the rebirth of Jewish sovereignty in the Land of Israel. The explicitly Jewish state they can now celebrate deserves the respect and support of all Jews, even if it is (as are all human creations) flawed.